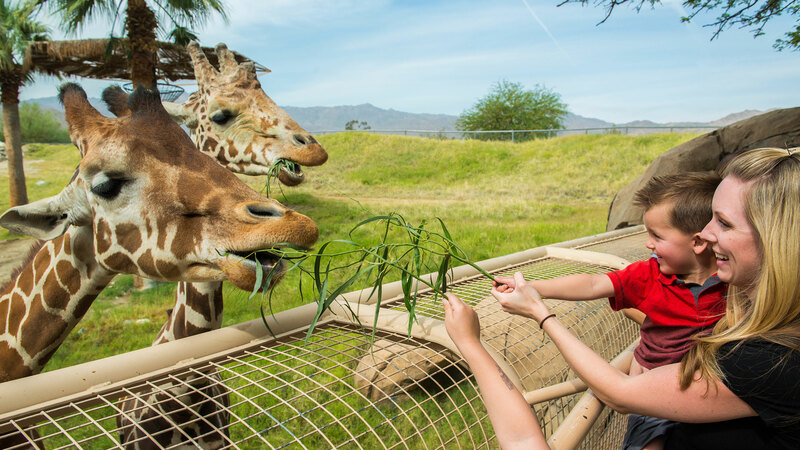 Celebrate \Year of the Giraffe\" at The Living Desert"
With so many things to do in Greater Palm Springs, it’s nice to have a little guidance, and that’s where we come in. Our blog is your go-to place for finding the best ways to get your chill on in the oasis, and our stories cover everything from the hottest Sunday brunches and late-night desserts to must-see attractions and family-friendly hikes. No matter what kind of vacay you’re planning, you’ll discover the best dining, shopping and exploring through the stories below. Planning a Palm Springs girls’ or guys&apos; getaway? We have the perfect three-day itinerary (filled with vintage thrift-store treasures and blueberry custard French toast). Attending Coachella Music & Arts Festival for the first time? Let us fill you in on everything you need to know before you go. Visiting during the holidays? Don’t miss our guide to all the delicious holiday dining hot spots and festivities. We also round up the best things to do and see in Greater Palm Springs every week, so you can start planning your escape to the oasis around can’t-miss happenings and must-see attractions, from temporary art exhibitions at the Palm Springs Art Museum to special live music and theater performances around town. You’ll also find sweet dining deals and hotel packages so you can save a little while soaking in all the sunshine and chill vibes. Ready to find your own story? Scroll down for the best things to do and places to see in Greater Palm Springs. Greater Palm Springs has something for everyone this upcoming season, including those who are looking to do something fun while contributing to an amazing cause. Beginning this October, The Living Desert will host their yearlong commitment of Year of the Giraffe, which is a nod to last year’s Year of the Cheetah that featured events focused on saving the cheetah. This year, Year of the Giraffe is set to include giraffe-themed events and campaigns in order to raise awareness on the plight of the giraffe and inspire conservation efforts and action to help save them. Events and activities will take place at The Living Desert in Palm Desert and are free for all zoo members as well as guests with paid admission. There are currently fewer than 98,000 giraffes left in the wild, but most people do not realize they are an endangered species at all, according to Erin Scott, Marketing & Public Relations Manager for The Living Desert. One factor that has led to their steady decline is that they are continuously losing their habitats due to habitat conversion. 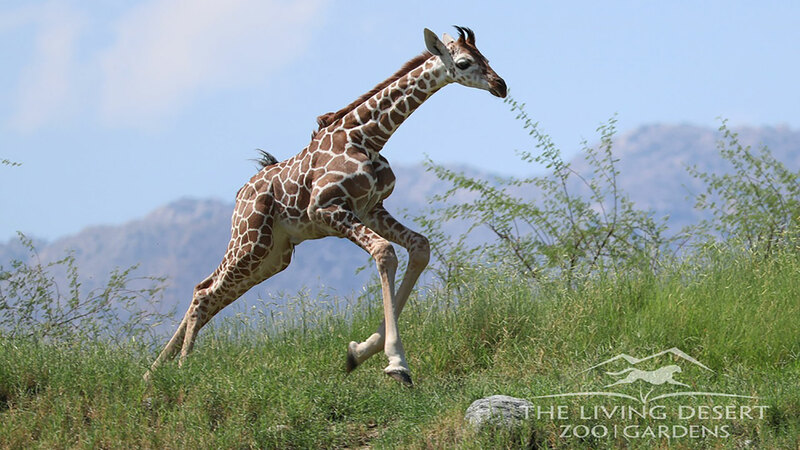 By attending events put on by The Living Desert throughout the year, guests can celebrate the giraffe, take part in the pledge to stand tall for this beloved animal and help save them from extinction. To kick things off, the zoo will host a Launch Party on Sunday, October 1, 2017, from 9 a.m. to 1 p.m. The celebration is open to the public and will include all day entertainment for the entire family, food and drink specials, a giraffe spot challenge scavenger hunt, a chance to feed a giraffe and many other special events. Event attendees will also have an opportunity to learn about the conservation efforts in place now, as well as additional ways to help. Celebrate Hispanic Heritage Month during La Gran Fiesta at the zoo on October 14 from 9 a.m. to 1 p.m.
Join in on the family-friendly Halloween fun, and take part in the not-so-spooky zoo adventure on Sunday, October 29, from 9 a.m. to 1 p.m. and Tuesday, October 31, from 6 p.m. to 8:30 p.m.
Get wild this holiday season by visiting The Living Desert’s 24th Annual WildLights event, taking place on selected nights beginning Friday, November 24 to Sunday, December 24, from 6 p.m. to 9 p.m.
With each visit to the zoo, guests can help save endangered species and help support the work of nonprofit groups working towards this same cause. Furthermore, proceeds from Year of the Giraffe also help support giraffe conservation programs that work to prevent these animals from becoming extinct. The plight of the giraffe has become a global concern, as populations of the species are diminishing rapidly throughout Africa. 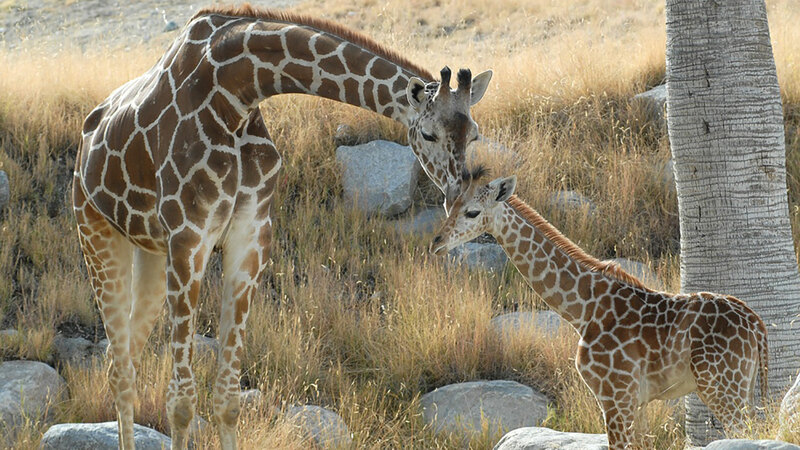 To help the efforts in place, The Living Desert has partnered with Wild Nature Institute and Giraffe Conservation Foundation–two giraffe conservation programs working to educate the public on preservation and securing a future for the majestic giraffe. At the Living Desert, anyone can be an agent of conservation for the giraffe, and all are welcome to sign up to take the pledge on the zoo’s website. All you need to fill out is your first and last name, zip code, and email information. By taking the pledge, you are standing tall to do your part in saving the giraffe and spreading the word of this great movement. Another way to make a difference at The Living Desert is by personally contributing to the efforts being made for the giraffe species. To give today, visit the zoo’s donation page. For more information, check out Year of the Giraffe, and book a hotel stay at one of these Greater Palm Springs hotels for your upcoming zoo visit. Cynthia Serna is a Greater Palm Springs local who enjoys writing about all things fun and delicious in the desert. She has a passion for writing, editing and creating amazing content, which is what led her to become a Palm Springs lifestyle blogger. In her spare time, Cynthia enjoys spending time with family and discovering new places to explore. Follow along with her on Notes by Cin, where you can find her notes on nearby fun, food, entertainment and travel.